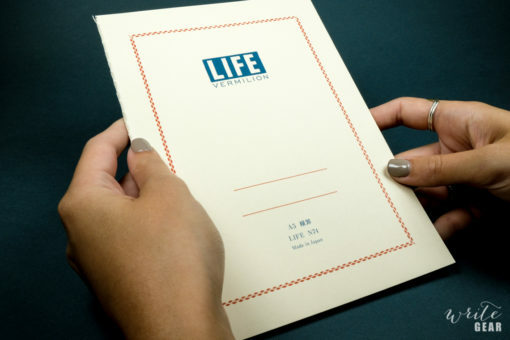 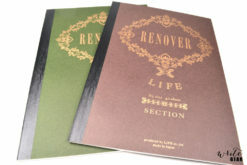 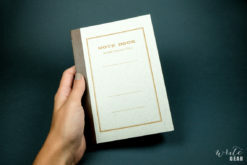 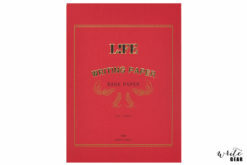 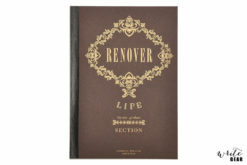 The LIFE Vermillion Note is handmade in Japan. 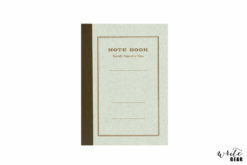 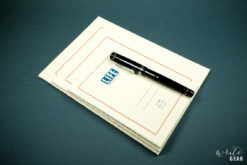 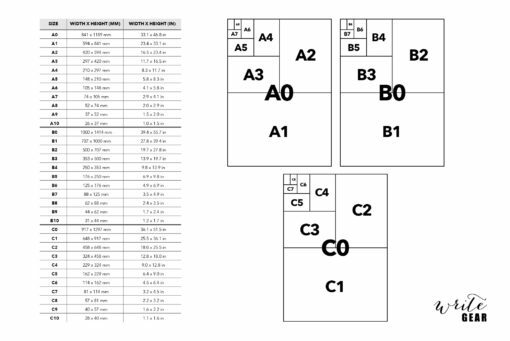 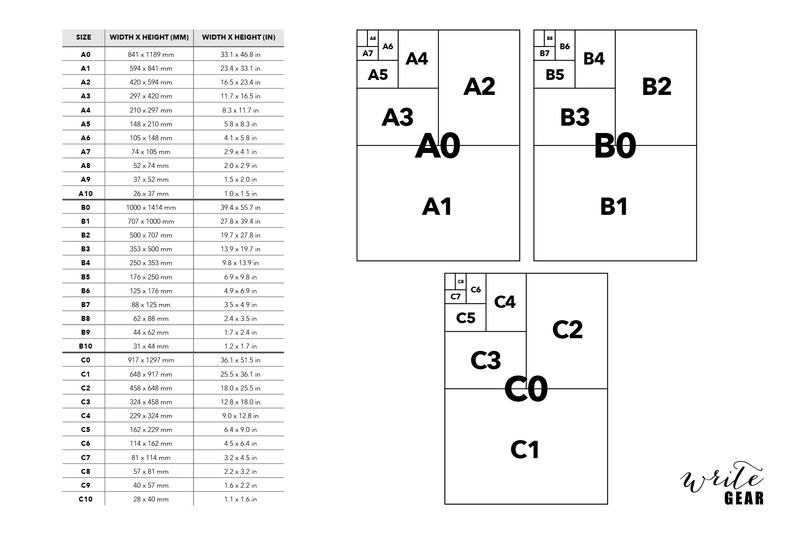 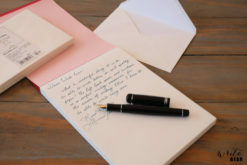 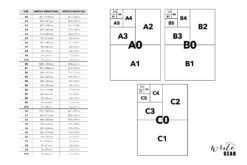 It shows that high quality stationery does not have to have a high cost. 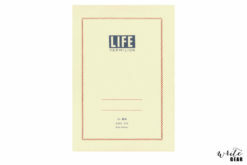 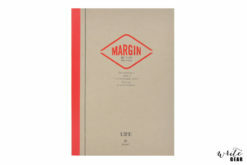 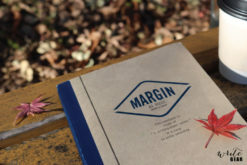 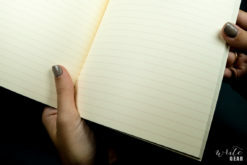 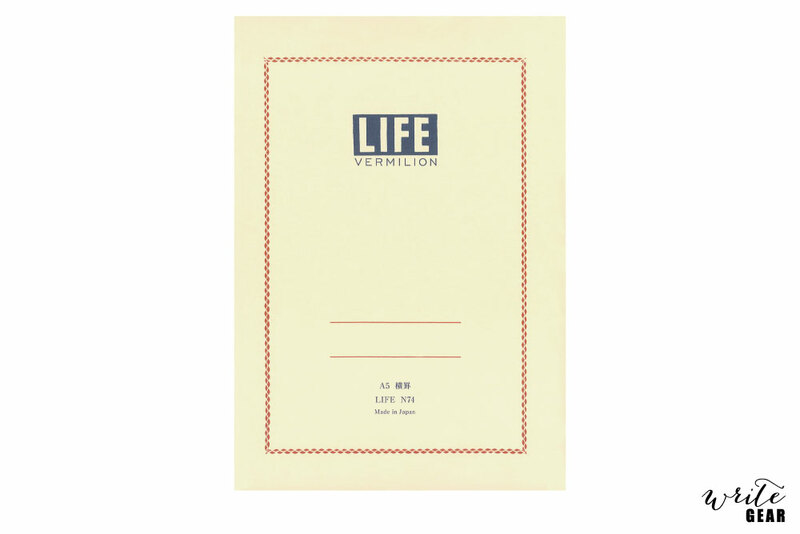 These notebooks contain high quality cream paper, with red lines. 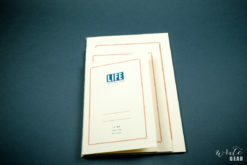 The 32 sheets are hand-stitched reflecting the care taken in the making thereof. It is super smooth, compatible with any fountain pen ink and resistant to feathering. 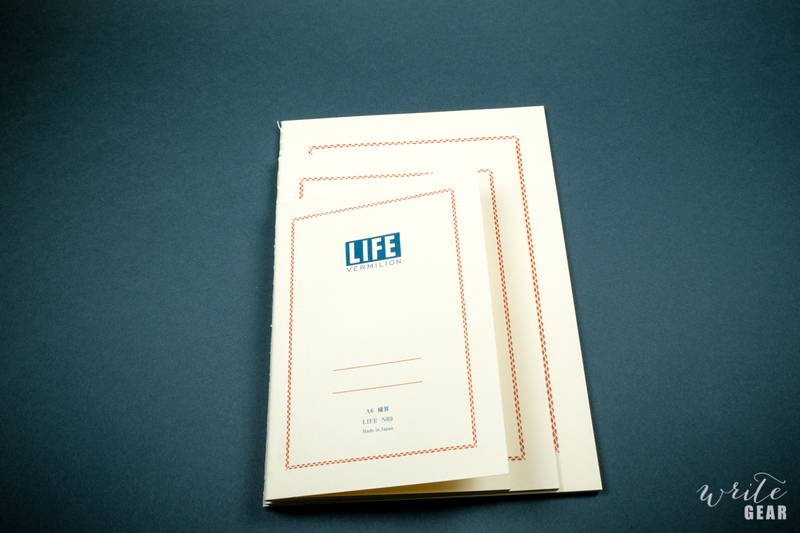 Life Co. does a great job of making their paper look beautiful. 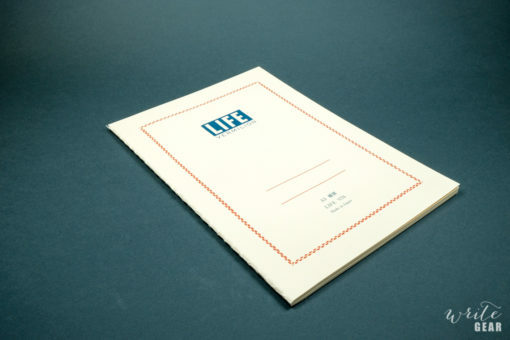 The high quality is immediately noticeable in the paper. Line width is maintained, whether you’re writing with the finest of Fine nibs, or the Broadest of Broad. Additionally, bright colours are vivid, and shading is superb. 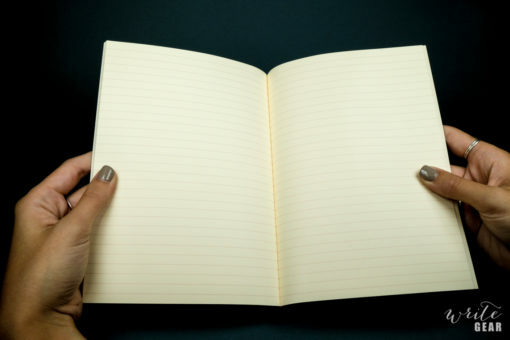 You will look for any excuse to write on this paper.